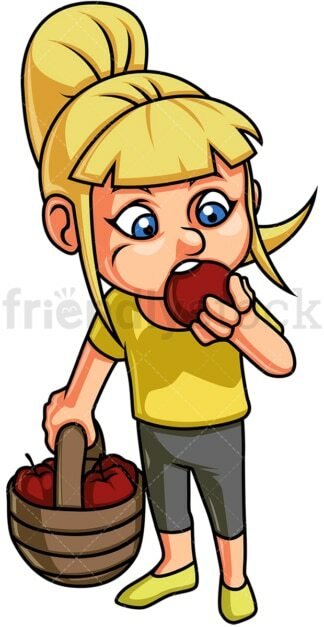 Royalty-free stock illustration of a little girl with blue eyes, blonde hair and a ponytail, holding a basket full with apples, biting and chewing one of them. 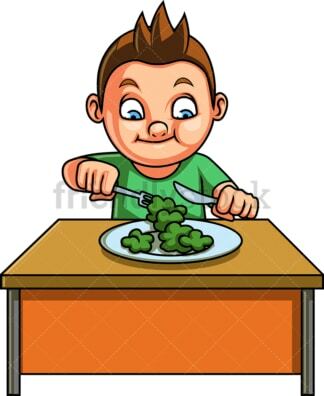 Royalty-free stock illustration of a little boy with brown hair and blue eyes, sitting behind a kitchen table, eating a tasty dish of broccoli and looking like he is enjoying his meal. Royalty-free stock illustration of a nerdy little boy with brown hair, wearing glasses, and greedily eating a chocolate bar, making a mess. Royalty-free stock illustration of a blond little boy walking happily and grinning while holding an ice cream cone with his one hand. Royalty-free stock illustration of a cute little girl with brown hair and green eyes, looking happy as she holds ice cream. Royalty-free stock illustration of a little boy with dark hair, greedily devouring a sandwich. 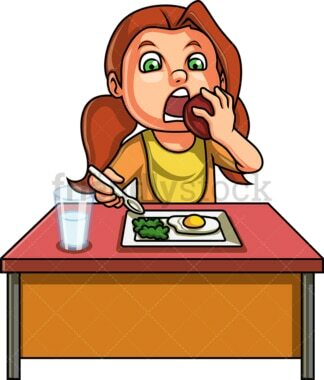 Royalty-free stock illustration of a little girl with red hair sitting behind a kitchen table and grabbing a bite from an apple. She is eating a full meal that consists of a glass of milk, a fried egg and some broccoli. 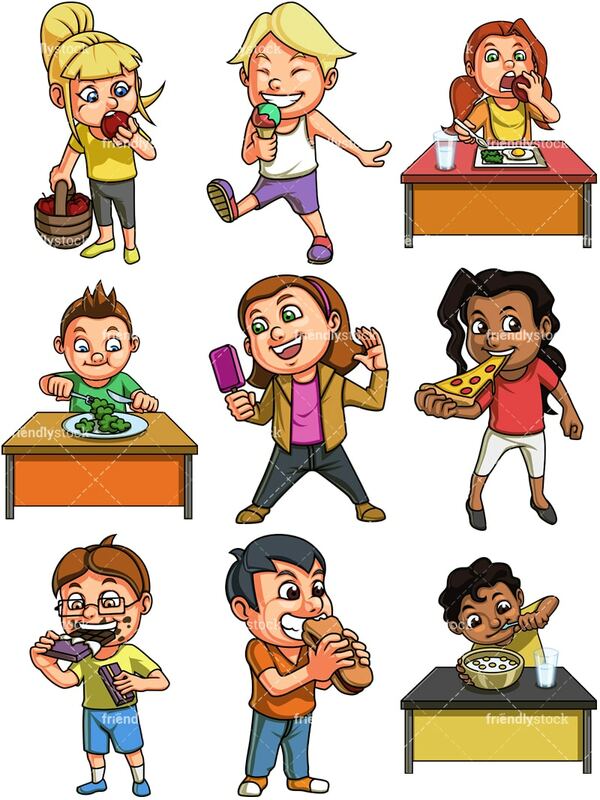 Royalty-free stock illustration of an African-American little girl with dark curly hair, brown eyes and a low ponytail, grabbing a bite from a pizza slice and smiling. 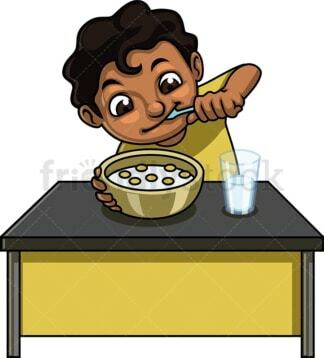 Royalty-free stock illustration of an African-American little boy with dark curly hair, sitting behind a kitchen table and eating cereal for breakfast. There is also a glass of extra milk on the side of the bowl.